In This Script, I tried to write code that are compitable with python2.7 and python 3.5 also. For chatting one user have to select server mode and another user have to select client mode. 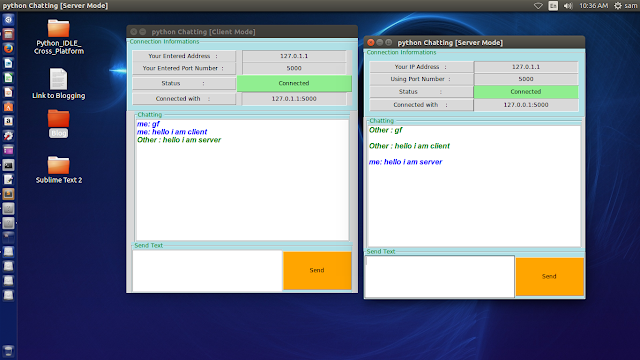 If You are using server mode then you have to give your ip address to client mode user for creating an connection between you. now you are ready for chatting.